When you are the visitors to Chubu area in Japan, using the airplane to go back home, and having half day to kill before you leave, Tokoname city is a good place to visit. What is Tokoname famous for? 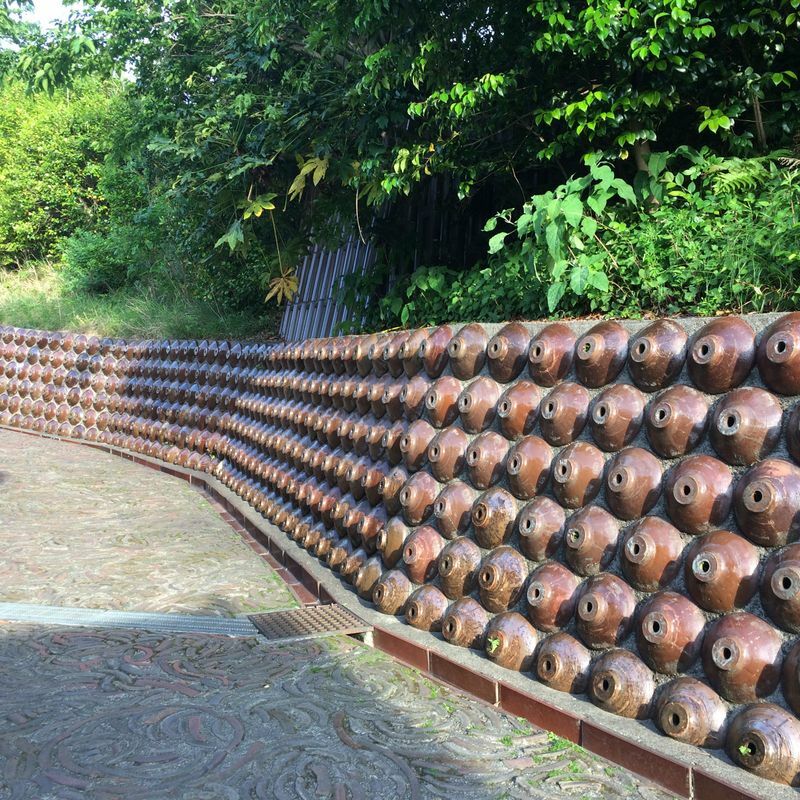 In fact, the city has a cool walking path where there are many potteries opening their shops. 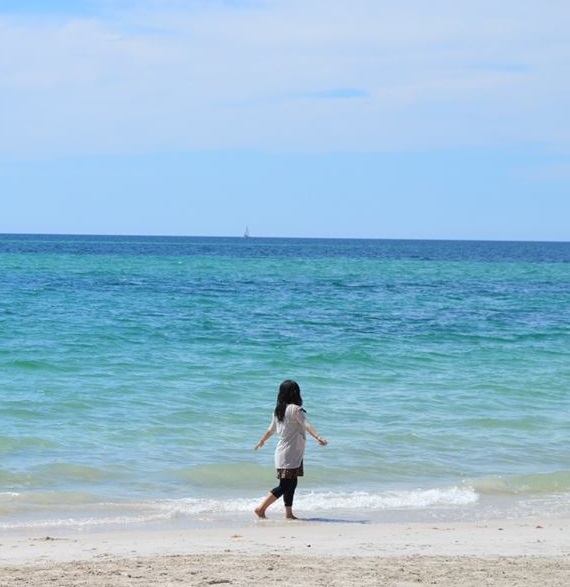 It is a great spot for you to explore for a few hours. 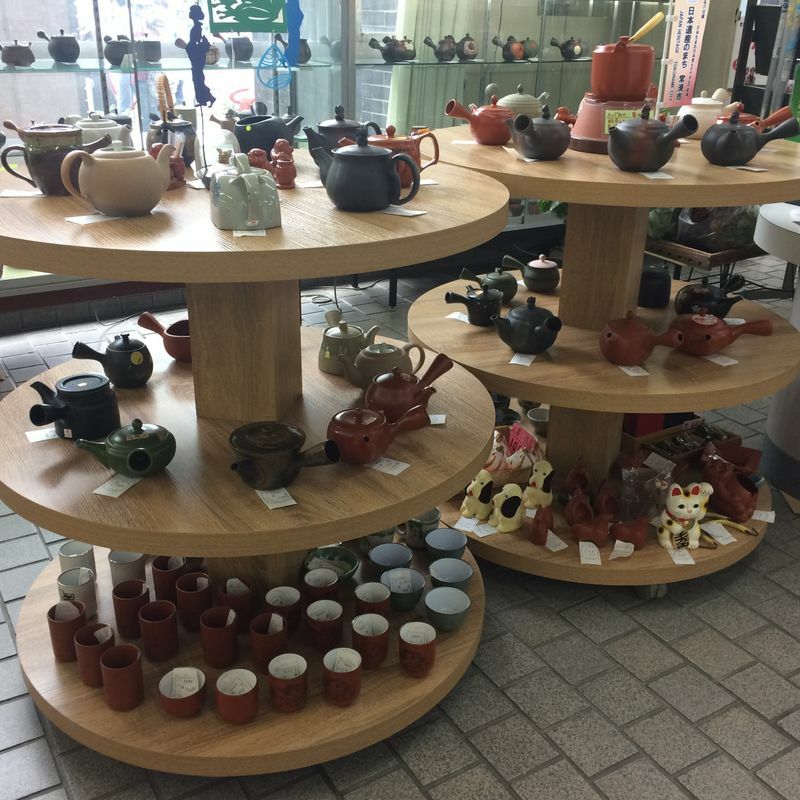 Their handmade creations are unique and warm, so you can even get one for your home. So first, you can go to the Tokoname Ceramic Hall and get the map to walk around. 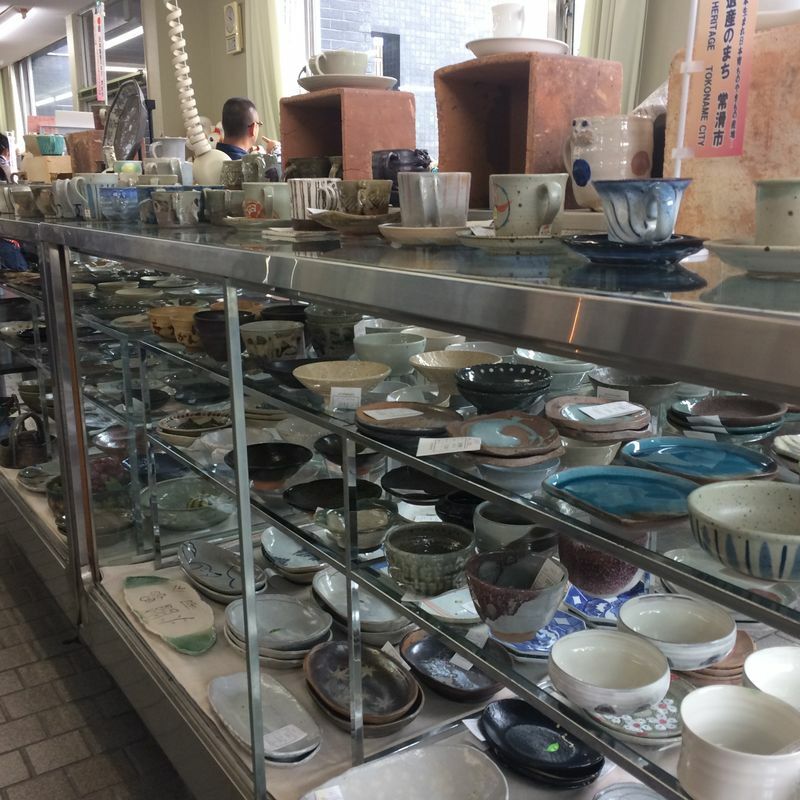 They also sells many pots, plates, mugs made by many different artists. When you get the map, they have 2 paths to choose and shorter one takes about an hour. This is a street where a lot of drainpipe stacked on the side, and the color and the sheen to them are beautiful. There is one special pipe you can look into the hole, so please try to find it! When you walk through the Pottery Path, on right next to the small bridge, you find this big Maneki-neko. Tokoname is also famaous for the producing Maneki-neko, the fortune cat. 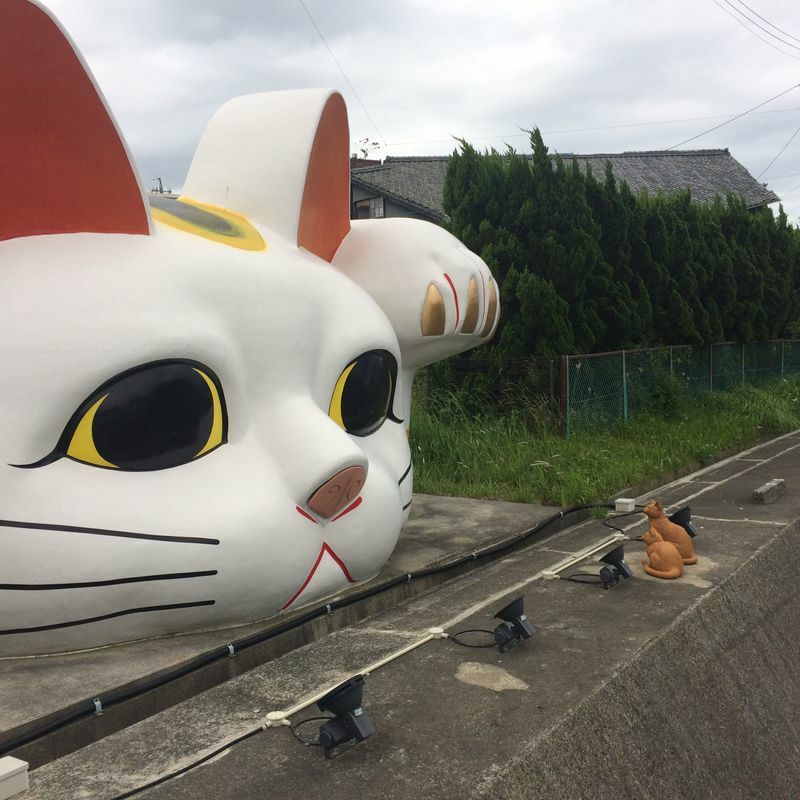 In Japan, it's believed that the fortune cat will bring you happiness. The brown cats are also not real, but you can tell how big it is! 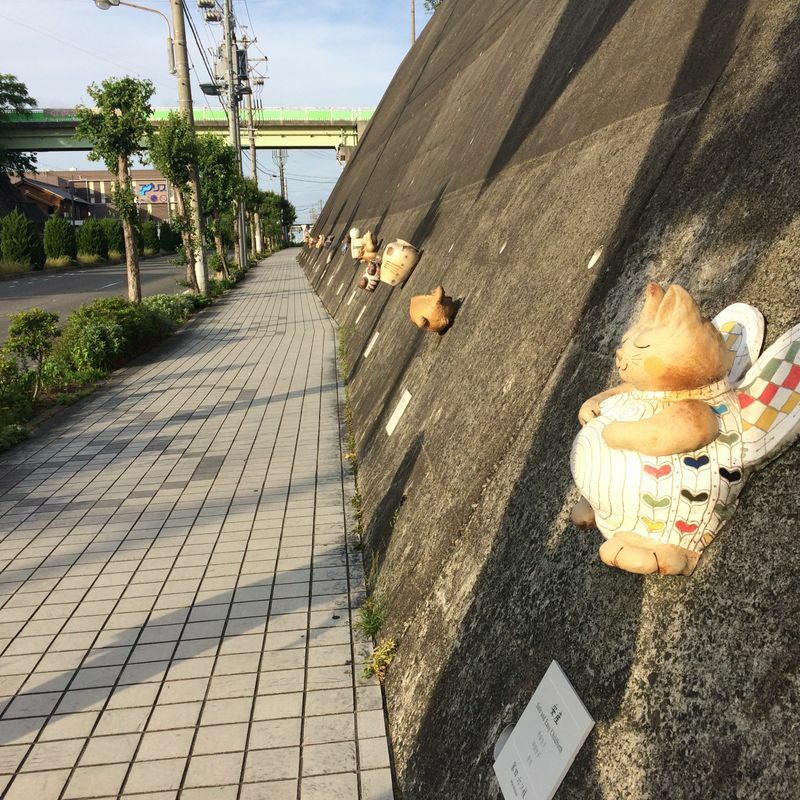 You also can find many kinds of Maneki-neko everywhere in the street. 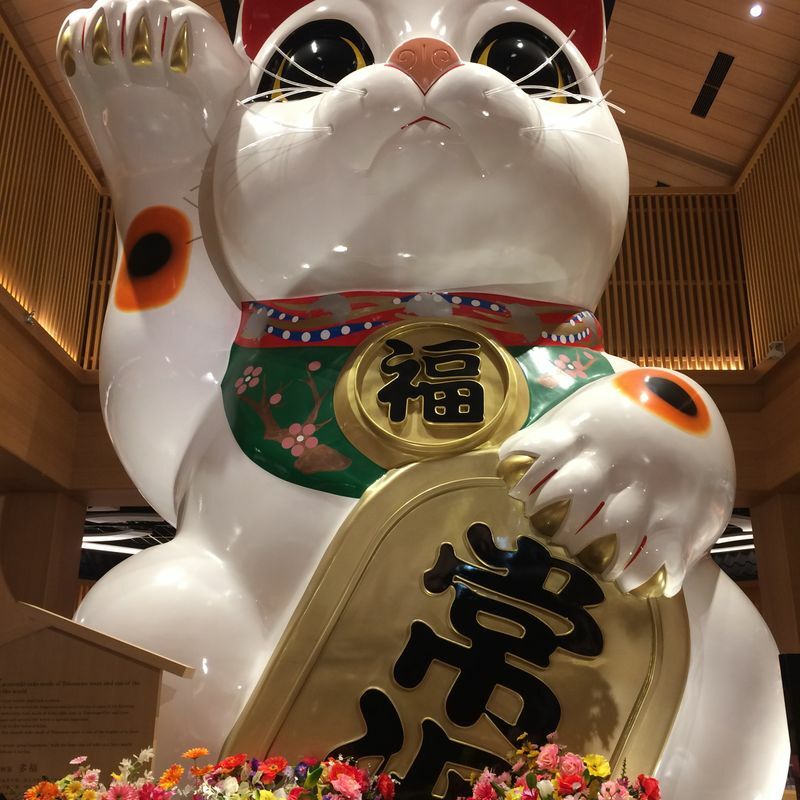 This almost 7m height cat will welcome you in the AEON mall, which is also a good place to buy all the souvenir you forgot to get for your friends. In Tokoname, they have more places to see. So before you getting on the plane for a few hours, why don't you go have a good refreshing time to walk around and feel the warmness of Japan once again?